Tinkering Fundamentals is a massive open online course (MOOC) put on by San Francisco’s Exploratorium museum every summer. I’m going to be chronicling my six weeks with this course here so you can learn along with me. See Week One, Week Two , Week Three, Week Four, and Week Five for more. Wow, these last six weeks have flown by! The last couple have been particularly busy for me, as it’s been preplanning and the first week back at school. 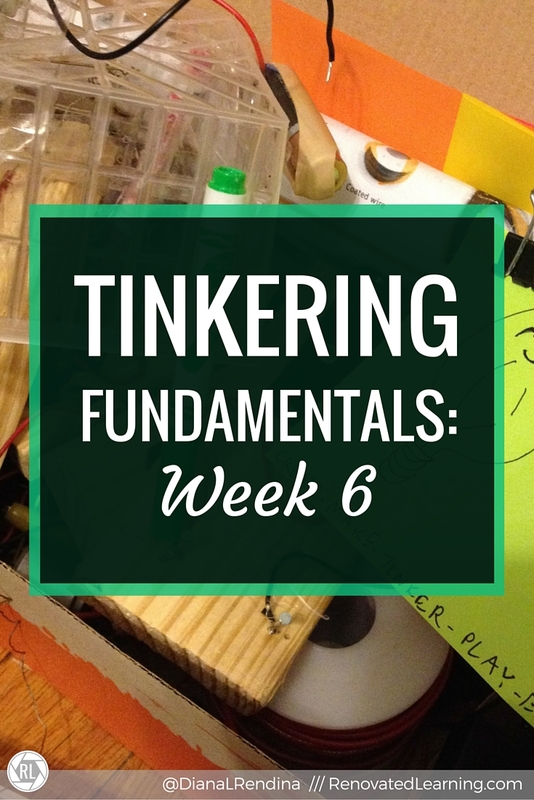 Week Six of Tinkering Fundamentals didn’t have a lot of content. Instead it was mostly focused on reflecting on the last few weeks and moving forward. In that spirit, I’ve gone back over my notes from the last five weeks to synthesize my takeaways from this course. In the past, I’ve mostly left the tinkering to my students. I might build a circuit here or there or add a little piece to the LEGO wall. But for the most part, I haven’t been very good at making time for tinkering myself. This course helped me to realize just how important it is to stretch my own creative muscles, try new things, and really learn alongside my students. In the coming year, I plan to dedicate more time to trying new things myself. And after trying out new activities during this course, I’ll definitely be adding scribble machines and paper circuits to our makerspace this year. There really is an art for knowing when to help a student get unstuck and when to let them work it out on their own. It’s so tempting to immediately give kids all the answers and directions and walk them through everything. Yet they learn so much more when they struggle a bit to figure things out. I’m going to be making a conscious effort this year to focus on letting my students learn with the minimum amount of direction. And I’m going to work with my student leaders (who sometimes help facilitate) to learn these same techniques. One of my favorite parts of this course was getting to meet so many amazing artists and see how tinkering has influenced their work. Sadly, art classes were cut from our school about five years ago. 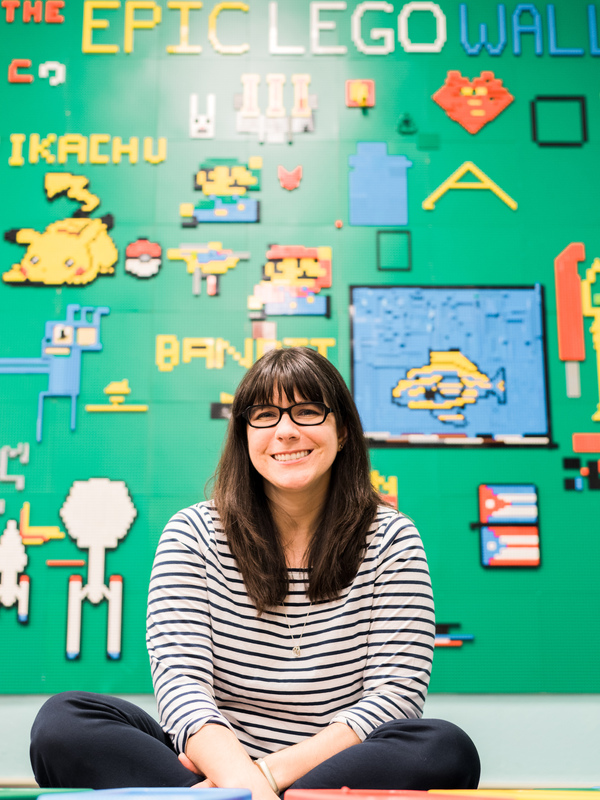 I feel like our makerspace is helping to fill a bit of that artistic void. This year, I want to spend more time exposing my students to various artists (both in person, through GHO and through videos) so that they can see how tinkering can lead to museum worthy pieces. Aside from our Cardboard Challenge, I haven’t done many projects with recycled materials before. This course reintroduced me to the messy joy of cutting up paper tubes, taping things together, decorating with markers, etc. I’m going to put out a call for donations of recycled materials this year to provide my students with some more familiar, less precious items to tinker with. This quote from Fred Rogers was something that I already knew before this course, but I think that it really helped to reinforce things for me. 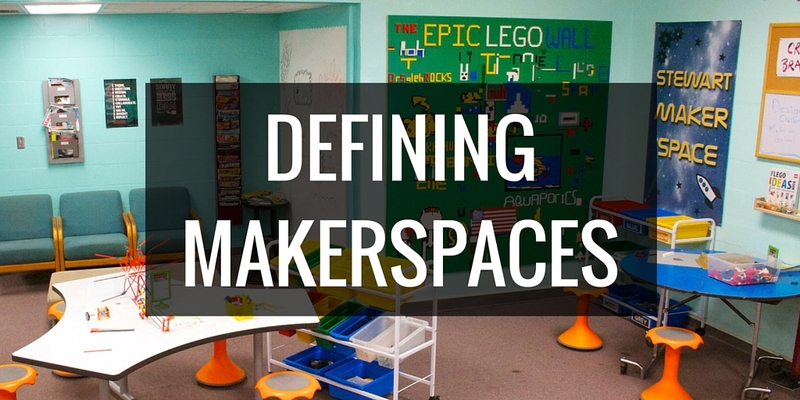 I’ve heard naysayers question the value of playful learning spaces like makerspaces. Play is viewed negatively – it’s not seen as rigorous or standards based or test score improving. But play is serious learning. And play helps our students to develop skills and knowledge that help them with all those rigorous types of learning that we’re so worried about. Play is something that is seriously lacking in our students’ lives, and making room for tinkering can help to bring it back.